View how bespoke web applications can automate systems, securely store data and give you easy access to remote resources. Web development is essential in almost all our app development projects. Having over 20 years combined experience in the field allows us to keep all this development in house, saving time and ensuring only the highest of quality for every project. 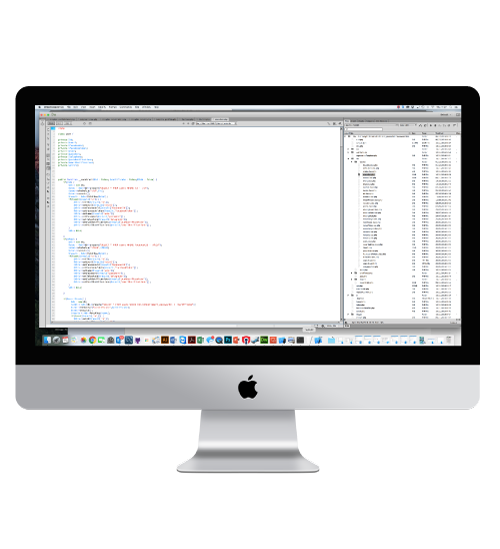 Our combined skill set includes 3 server side scripting languages, allowing us to work on the server of your choice, as well as with any existing developments you may have. Web applications allow our apps to connect to the internet as well as be remotely managed, saving on costly app updates and giving you control of your apps content. Many of our developments include a bespoke made, online web portal, giving our customers a quick an easy way to control and monitor their apps content from anywhere in the world. As well as linking with mobile apps, we also create web applications that stand on their own two feet. They are perfect for time saving applications such as data aggregation, collection and storage. As they run through a simple web browser, the computer running the application simply displays results while the server handles all data processing. This approach means that low-spec computers can perform huge processing tasks in the fraction of the time by passing the work to a central server. We were approached by Western Landscapes, a landscape and garden design company, to develop them a bespoke, mobile responsive website that can show off all of their impressive work.